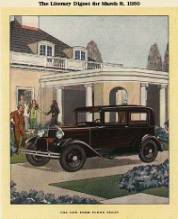 As for price, the new Model A Tudor Sedan sold for $495.00 with the Fordor bringing $570.00 F.O.B. Detroit. 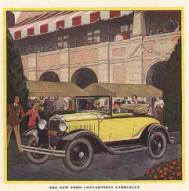 For $385.00 you could get a Roadster and $395.00 would get you a beautiful Phaeton. 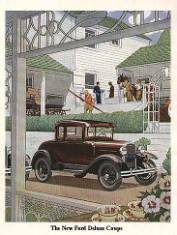 At $495.00, the new Ford Coupe was nice but for $550.00 the Sport Coupe with a standard Rumble Seat was a hot seller. . Ford produced more than five million Model A cars from 1927 to 1932 when this model was superseded by a new V8 engined model. Should I join my local club affiliate and why? Absolutely you should, not only is a club a great group of people that all share the same interests of the Model A, but the information on your car is invaluable. Tech talks, model A outings, safety checks and other events are just part of some club affiliates. Our award winning Model A magazine is a wealth of knowledge for all. The highlight of the year is the Model A convention, where members of local clubs from all over the world share their knowledge of cars with seminars, hand on workshops, and education talks, but the blue ribbon and touring judging’s is one of the most exciting parts of the entire event. Nowhere can you see so many different Model A cars and trucks. Many members have made life long friends along the way. Check our club affiliates directory to find the local club in your area. I need to start my Library what should I buy? Where do I begin with my first purchase? READ and learn, that is our best suggestion, talk to people about their cars, likes and dislikes, go to shows, events and cruise nights, try to see if you can drive a Model A, and different models, and most of all JOIN MARC and your local club affiliate. Before you know it your field will be narrowed down to what you like. Purchasing YOUR car is a very personal thing, remember is YOUR CAR and you have to like it and drive it! Good question that once again only YOU can answer and of course your pocket book. here are some considerations and some of the factors that might influence you. Usually but not always open cars are more expensive, they are harder to find depending on the condition you want, and sometimes require more work if restoration is needed. Below I have listed the open and closed Model A Cars to make your choice easier. Each car is unique in it’s own way and style. Do you live in a warm climate…that does make a difference on when you can drive and how long your season will be? 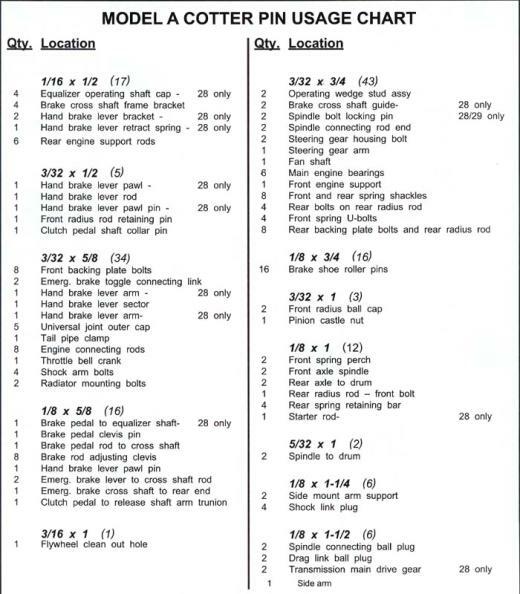 Be sure to look at prices, availability, and ease of getting NOS or Repop Parts for you model. Are you single or do you have a family and what do you want to do with the car, touring as a driver, blue ribbon show car or judged in the touring division? Take all these factors into consideration before you make your choice. What am I in for if I choose to buy a car that needs total restoration? Where do I get parts and stuff from? 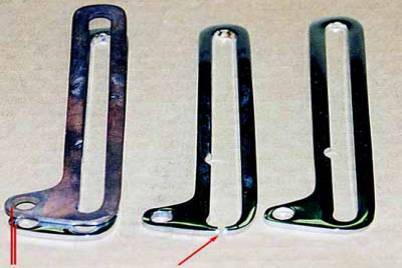 This there is not a simple answer too, but many of the vendors on our parts and vendor pages carry repop and some new parts. Keep in mind your car is 75+ years old and this stuff is not made anymore by Ford or any of the other manufacturers, NOS part (New Old Stock) is available through many dealers, ebay, and fellow Model A owners, probably the best way to find parts is from Swap meets and our Model A forums, keep in mind to do your homework before you buy, there are many shady people out there that will claim it is NOS when really just restored junk. 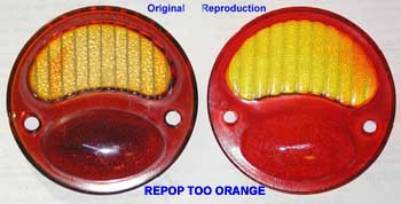 Below are some pics of NOS vs. REPOP parts.. buyer beware on all these items. There is nothing like a fully restored or refurbished original for your car. The repop parts are too small, too thin (actually broke in use) and the distance between the slide and the pivot is wrong so the windshield will not close or remain closed. Also one actually folded up while trying to hold the windshield open. Once again, find the original part and use that. The repop shackle was made from less than ‘quality metal, and was glass hard. It actually broke in use. It was, at least sold as ‘foreign made’. On a less life threatening note, notice what a perfect job was done of reproducing the original style grease fittings. Method of photographic comparison: Camera set on tripod to maintain distance and perspective. Reflectors placed on the same spot (you can just see the pencil outline on the cardboard) and same rotation. I then used Adobe Photoshop Elements to remove the background from the picture of the repo reflector and then superposed it on the picture of the original reflector. Both pictures were exactly the same size and neither was changed to match the other. It’s a simple overlay once the background is removed from one. They were then “flattened” (combined) and then reduced in size to get the size below 100k. You can clearly see by the illustrations that there are some considerable differences.. Beware and know what you are buying first and don’t settle! Many Thanks to Jim Mason for these images! How do I maintain my model a? A. Oil Changes, this has been a topic that is discussed frequently and you will get many different opinions on it. The recommended interval has always been every 500 hundred miles. with the new oils today, that is not the stead fast rule anymore. I know many people using a good synthetic 10w30 oil that change every 1500 miles and some every 2500 to 5000. Today’s driving is much different than in the days of Henry Ford, our streets are paved and most of us don’t drive more than 2500 miles a year on average. Depending on how you drive and where you drive will also play a factor in this decision. Remember OIL is the LIFE BLOOD of your engine. Don’t skimp on the quality ever!! B. Radiator Water, I repeat WATER.. NOT antifreeze during the driving months of your car. 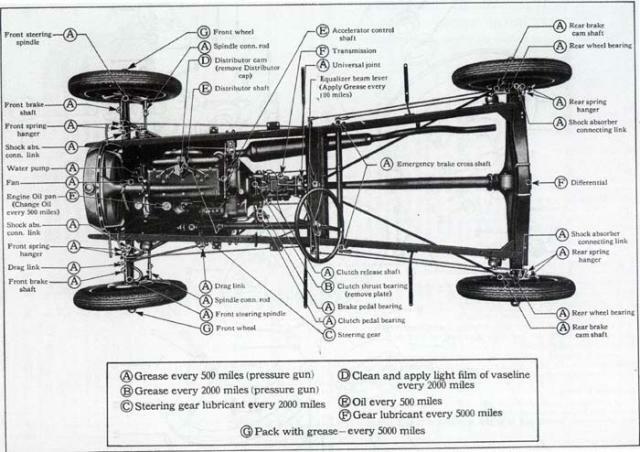 The Ford Model A engine is not a pressurized system therefore it does not need antifreeze. Use regular distilled water with a rust inhibitor and all will be fine, It is recommended to change 2x a year. however if you are in a cold climate and will be storing your car in an UN-Heated garage. Antifreeze is used during the winter months to prevent freezing and cracking the block. Come spring time, drain your radiator of all antifreeze, run a gallon water through with a radiator cleaner and run the car for 5 minutes, drain and replace with clear clean water and radiator rust inhibitor. C. Lubrication, Don’t skimp on this area, there are many charts available from local vendors that will give you the recommended lubrication intervals and locations where the car is to be lubed,. Use a good grease available from you local parts store or any of the model a vendors listed on this site. There are 2 different grease fitting on the model a, you can get the adaptors from any model a parts distributor. D. Cotter Pins, There are a lot of them, in fact to be exact there are 160 pins of 12 different sizes that are used on your Model A. The chart below will tell you where they are to be used, Cotter pins are not changed on a regular maintenance checks but should always be looked at and always carried with you. You never know when a tie rod, or brake rod pin can snap. Always check you pins before any long tour and make it part of your maintenance schedule to look at them. 1. Tire pressure recommended is 35 PSI, proper inflation is a must for safety. 2. Use a good tire preservative to the sidewalls to help slow down the drying process. 3. If you don’t plan on driving your car for a long period of time, put the car up on jacks to prevent flat spots on the tire. 5. Don’t allow the tires to be exposed to direct sunlight sitting for real long periods. 7. Always check you tires for nails, glass and any other things that might have fallen on your garage floor.